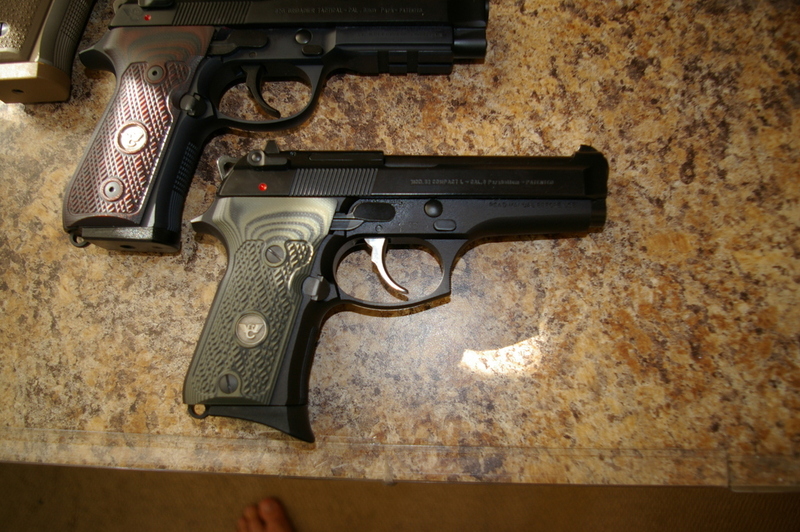 I always likes the Beretta 90 series, but kind of moved on having sold my Elite II. I did keep a M9 as a suppressor host and beater and a compact I had new in the box with no use. Last summer I picked up the M9A3(g) and it's excellent with many of the improvements people were asking for. A few weeks ago I was looking at a high end pistol and when I felt the trigger of the Wilson Combat 92 with the action tune, I had to have it. A 6lb da pull and a 3.7lb sa pull goes a long way in going back to a TDA type of pistol along with their other improvements. When I saw that the Wilson comes with Beretta parts to make it competition ready, I took a long look at that 92FS compact sitting in the safe and decided to get to work. So for any 90 series pistol sitting in the back of the safe long lost and forgotten, with minimal cost and some elbow grease you can have quite a nice gun. 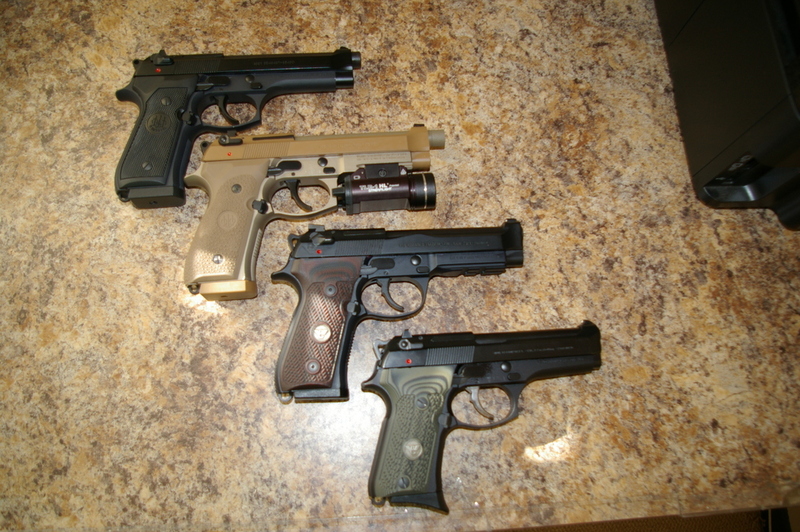 So nice, I'd rate the compact pictured below superior in many aspects to my P229 Legion. Ordered: Beretta metal trigger (old ones have this already), Elite hammer (optional), Wilson dirty olive G10 grips, Beretta D spring mainspring, Beretta "G" decocker conversion kit, Wolff extra power recoil spring, Mainspring retaining pin (for Italian Beretta's only), Wilson metal mag catch. Wolff TCU reduced power trigger spring was used and rejected. I went on youtube for a refresh and stripped the frame. When the parts were on the way I polished the back of the trigger bar by hand up to 1500 grit. I did the same to the hammer strut shaft, and the end that interfaces into the hammer. Then the trigger and hammer pins. The sides of the sear polished and cleaned up the sear ledge with a gunsmith stone. When the hammer and trigger came in, I polished the bearing surfaces where it rubs on the frame. The hammer was polished on it's entire lower radius, inside the DA pull area, the hammer strut rub points, and lightly cleaned it's single action ledge. I got it all back together and holy smokes the work paid off. Smooth like a S&W revolver with a trigger job and like glass. I think my mainspring is a bit stiffer than what Wilson is using so I'm pulling 6.8# da and crisp 4.3# SA with a smoother pull. I'll still need to put it through it's paces but there's hope for the old war horses with some elbow grease. What this addresses: Grips get the ergonomics a bit better, the G decocker kit takes away the chance of activating the safety when racking the slide. The trigger job obviously fixes the main gripe on the Beretta- heavy DA. I believe the heavy mainspring was done for hard NATO 9mm primers and hot ammo and was left in the commercial models. What I learned- The design is fun to work on with easy stripping and logical design. It's got room for tuning so I can see why Bill Wilson decided to embrace it.